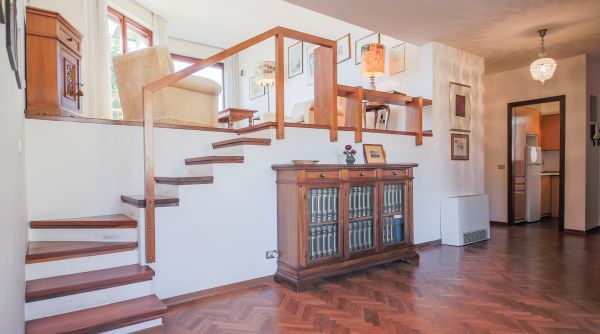 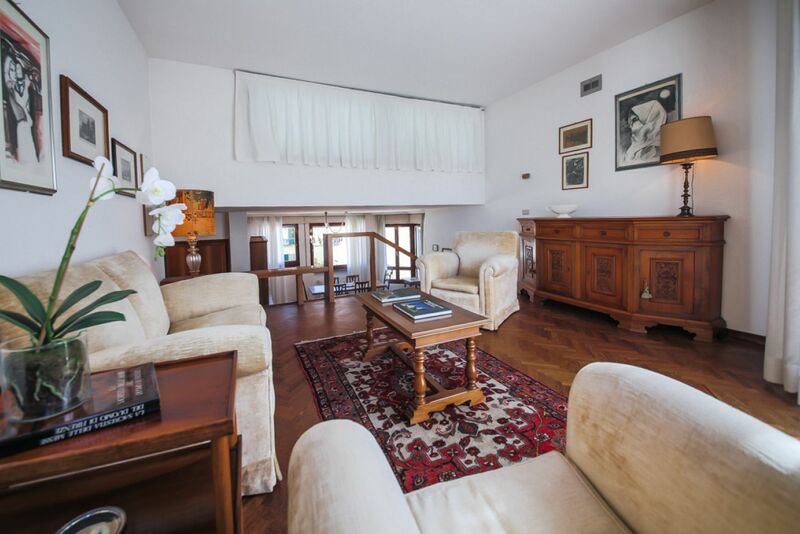 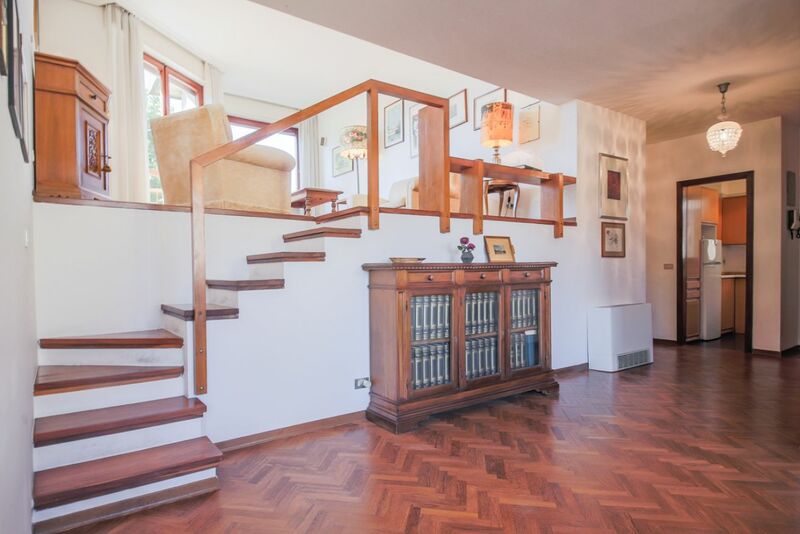 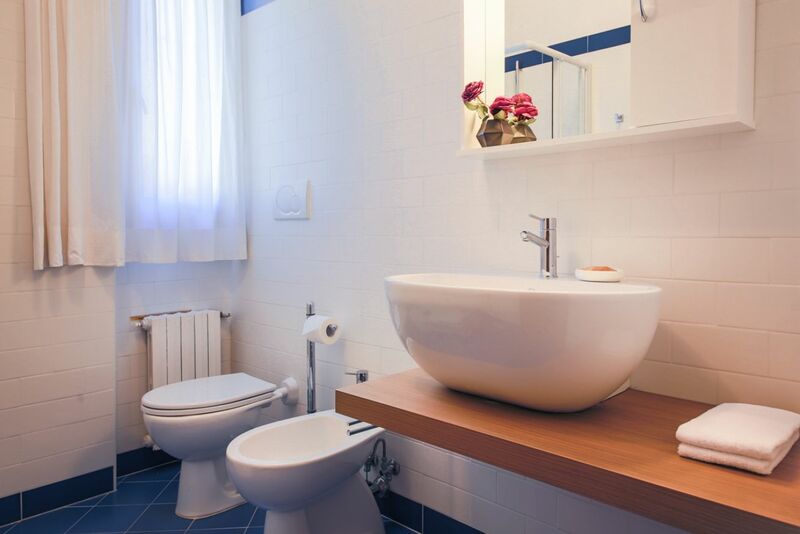 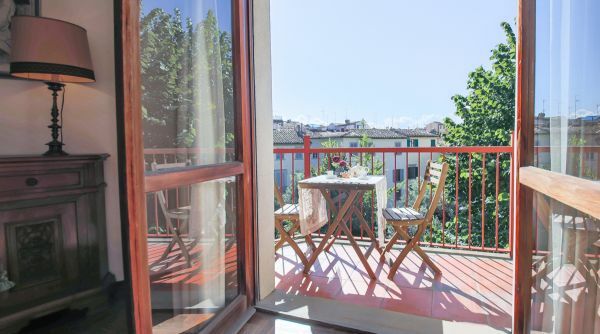 This 2-bedroom, 2-bathroom apartment with a terrace is located in the historical center of Florence, a walking distance from all famous monuments. 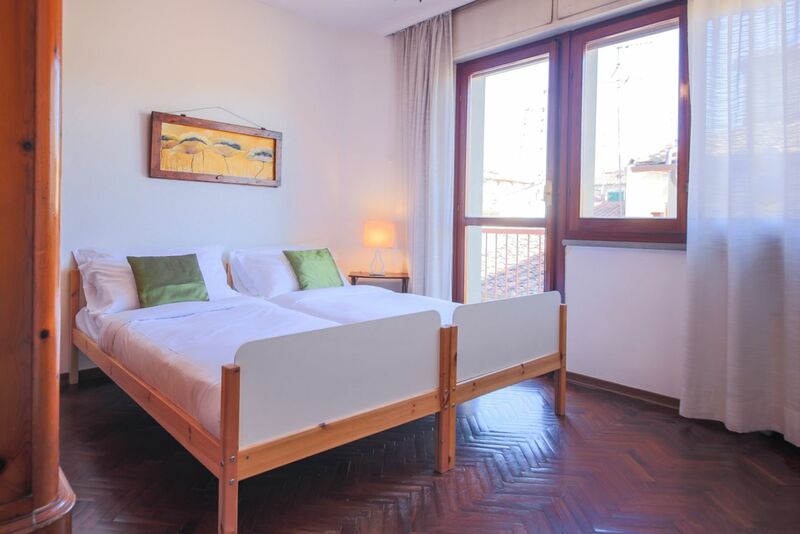 The street is quiet and tranquil, allowing for a relaxing stay away from the main tourist traffic. 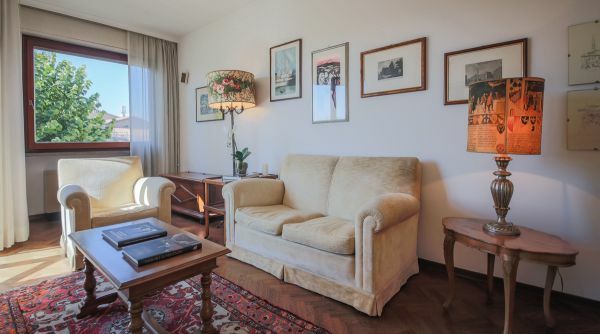 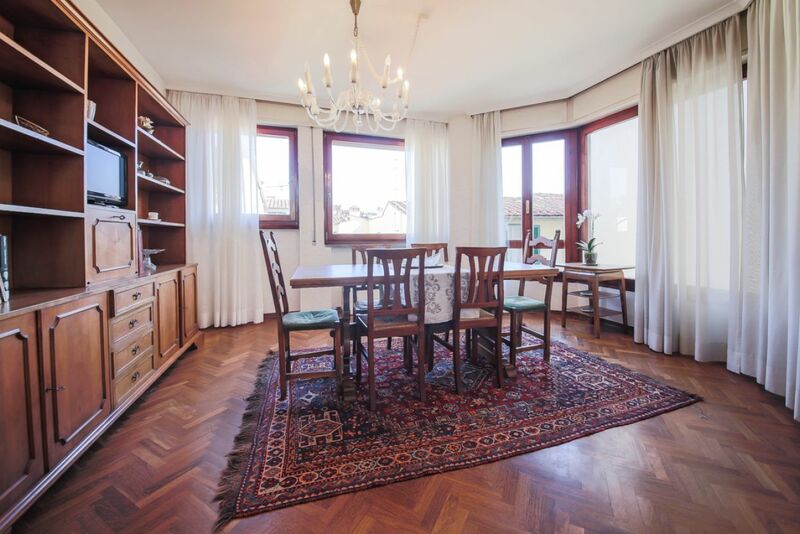 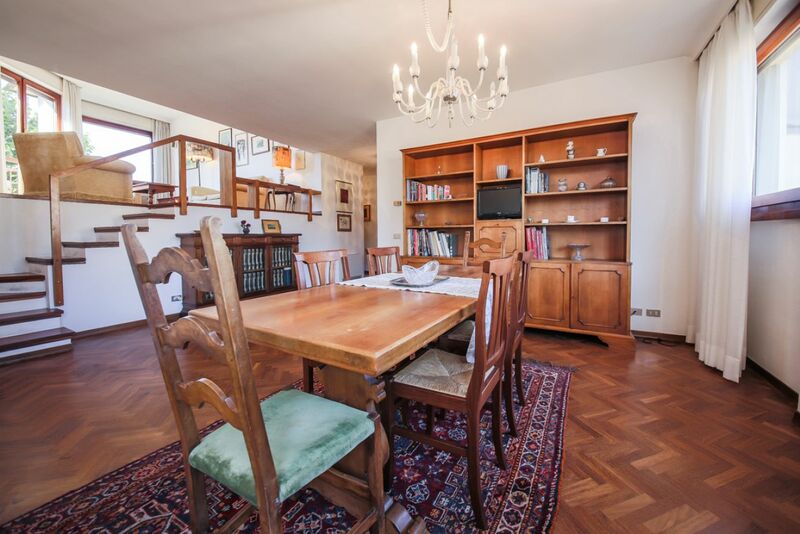 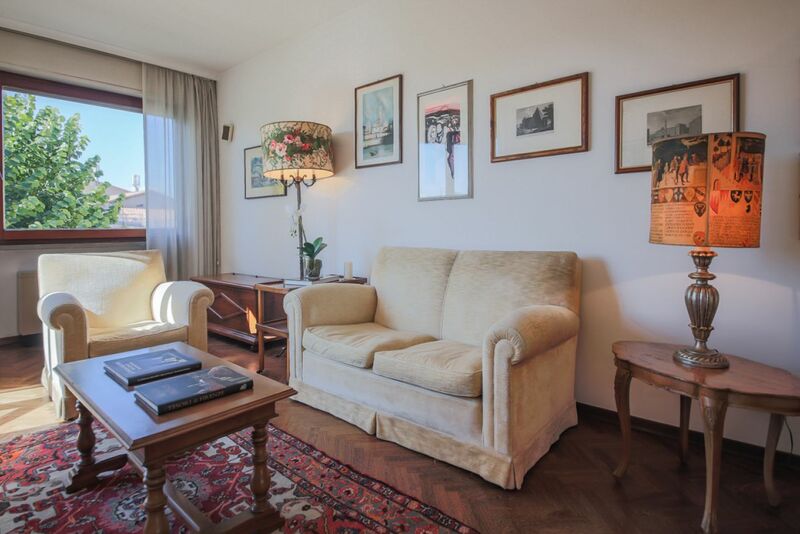 The apartment is bright and spacious, on a 4th floor with an elevator, and features a lovely terrace with views of the Florentine rooftops and landscape. 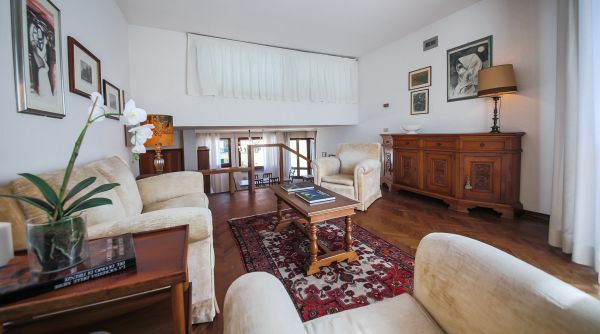 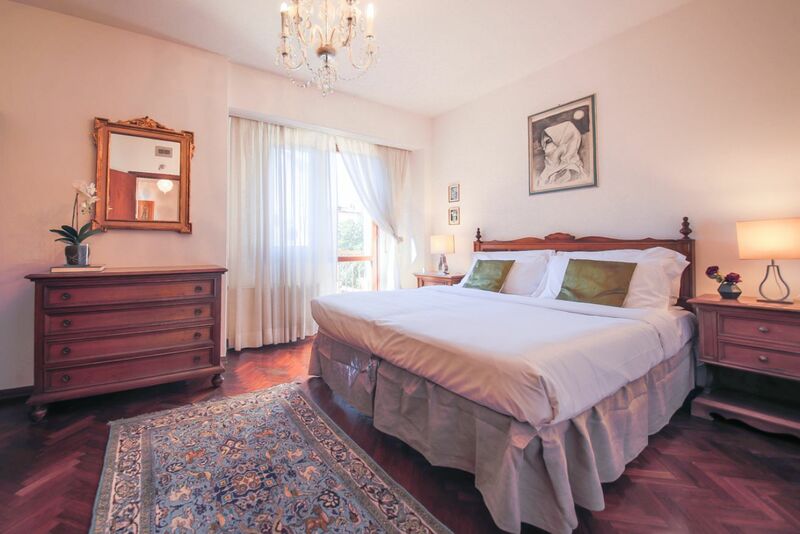 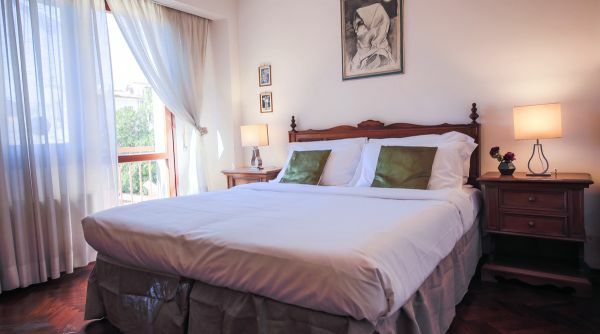 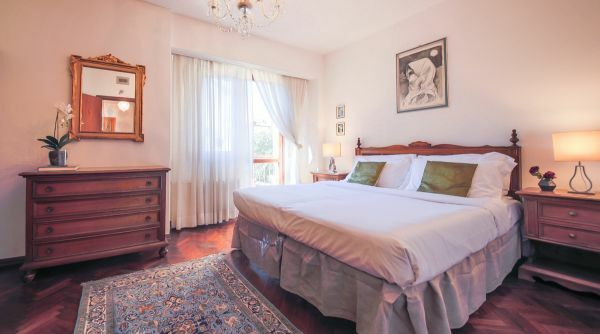 The apartment is furnished in a classical homely way, with lots of wooden furniture and a typical Tuscan character. 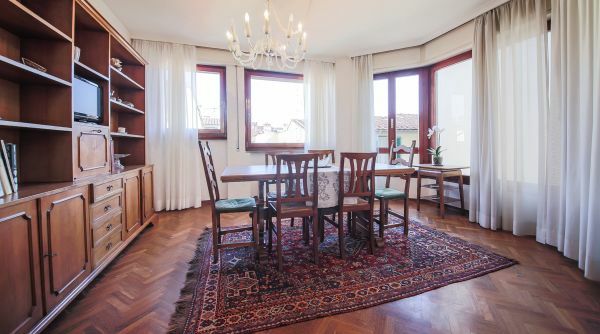 The entire property is very bright, due to the many windows letting in lots of natural light. 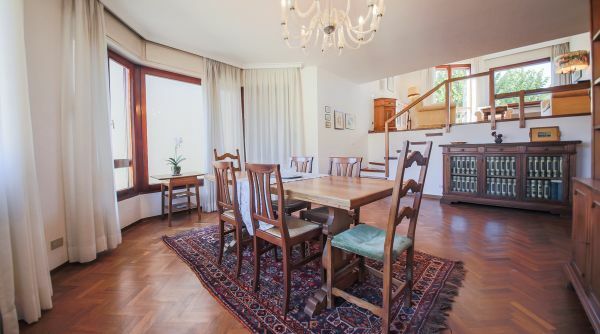 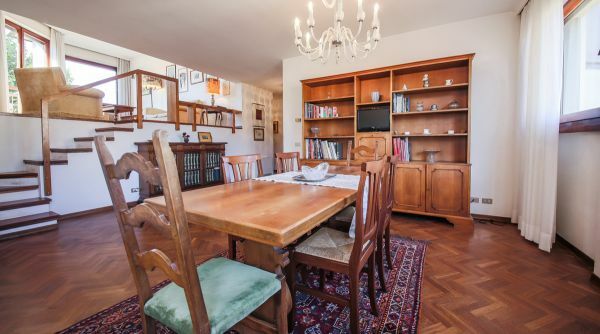 As you walk into the apartment you find yourself in the large dining room with a table for six people. 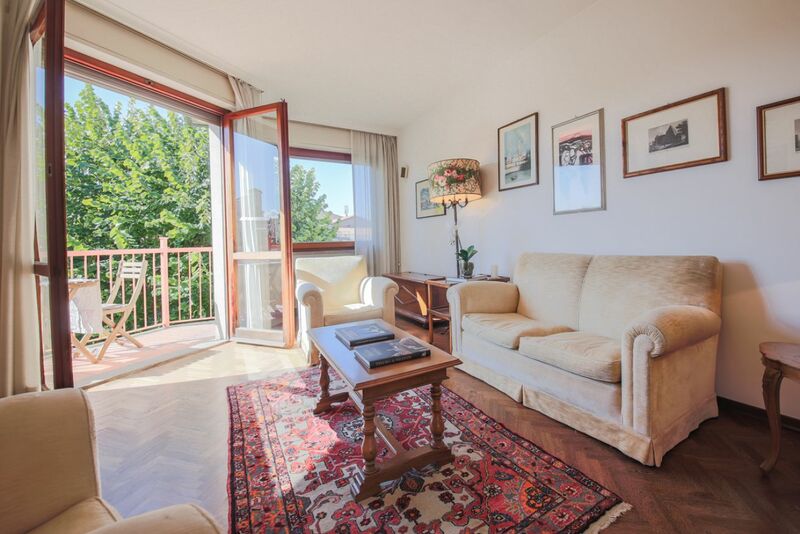 Up a couple stairs, there is a semi-separate living room space with a couch and armchairs from which you can access the terrace. 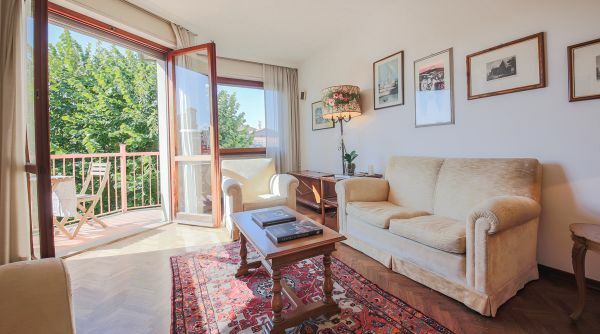 The windows in the living room, as well as the terrace, feature a beautiful view of Florence's rooftops and landscape. 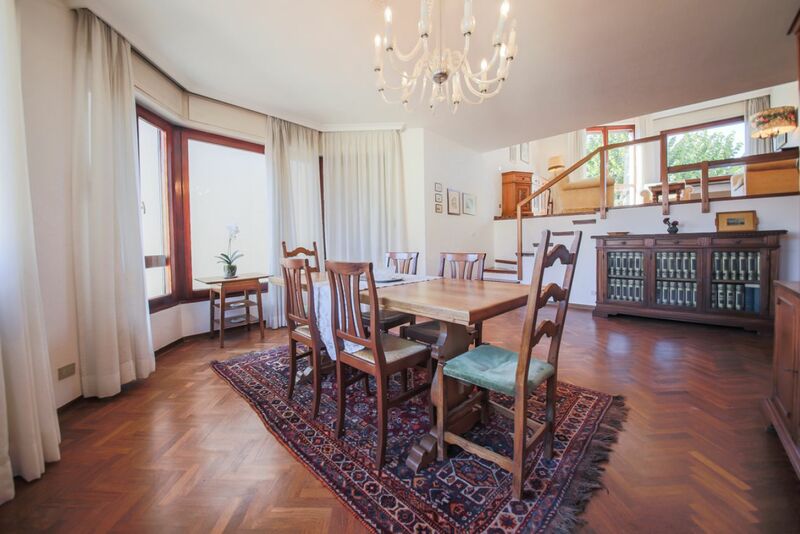 Due to this large living /dining room space, the apartment is an ideal place for a family or a group of friends to relax and spend time together in a comfortable way. 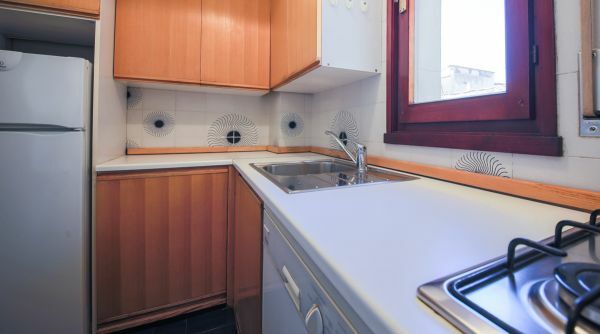 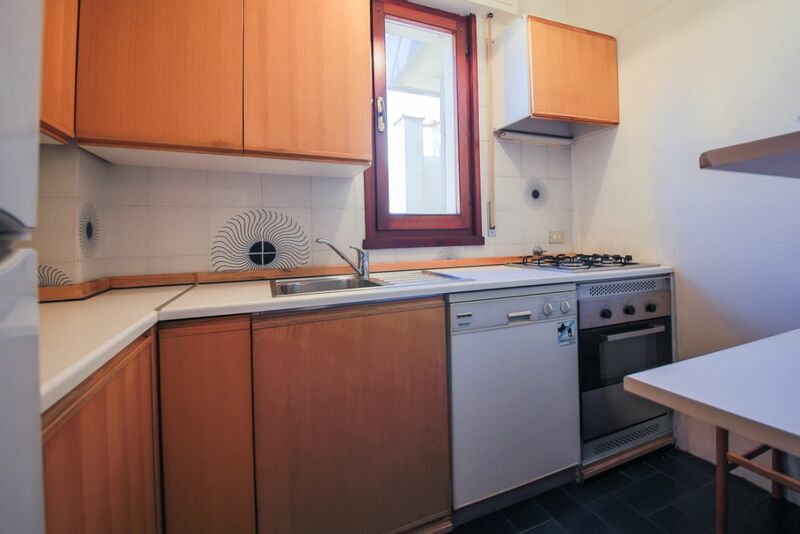 The kitchen is fully equipped, and even if not very recently renovated, is completely functional. 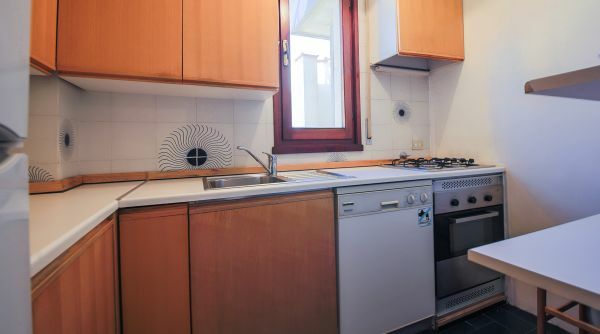 It is separated from the other living spaces. 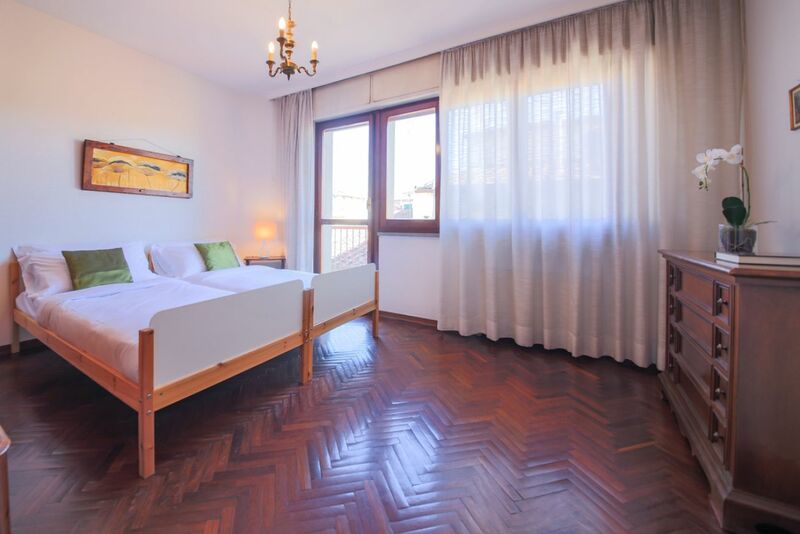 Both bedrooms are very bright and spacious. 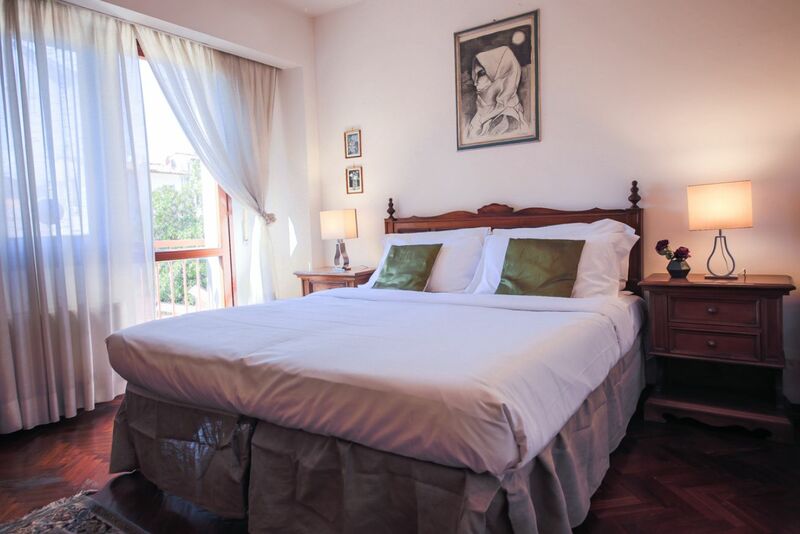 The master bedroom has a comfortable double bed, while the second bedroom has two singles. 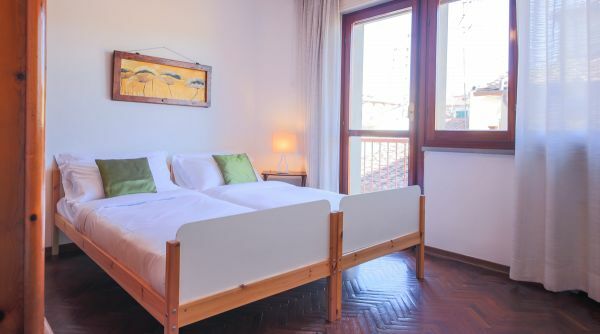 Both have large closets, ideal for short term vacation rentals and longer stays. 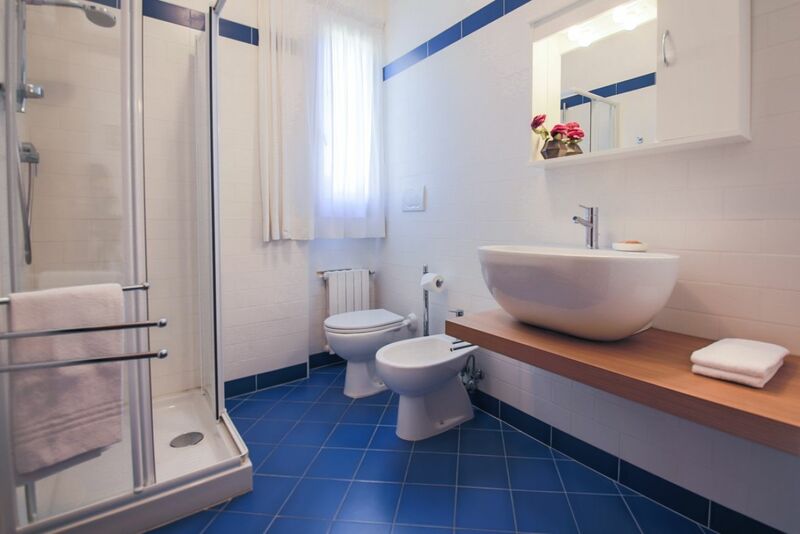 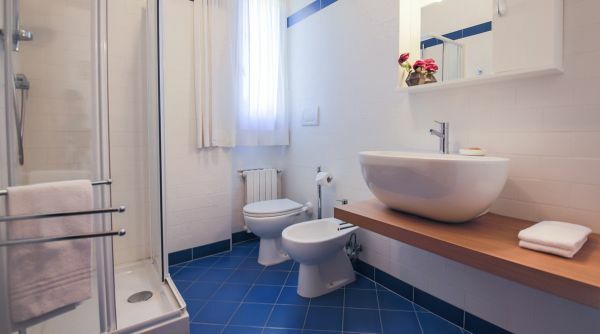 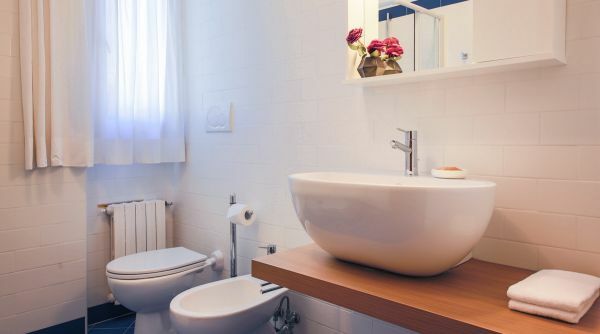 There is one renovated full bathroom and one half bathroom. 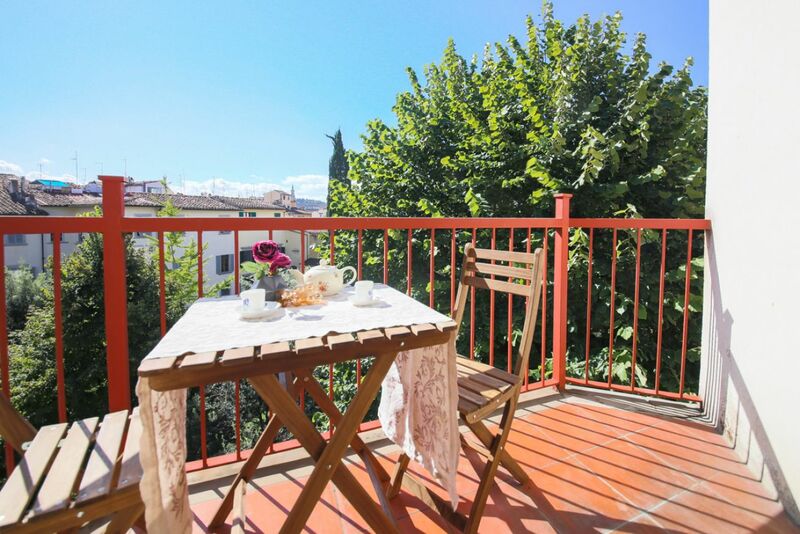 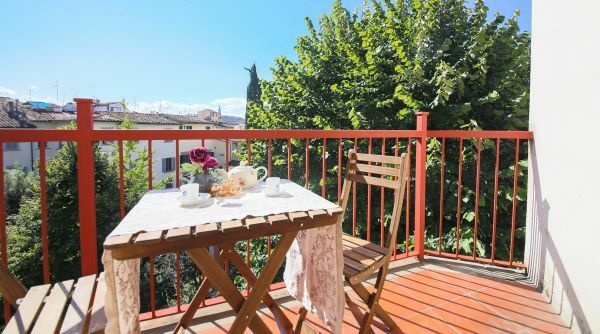 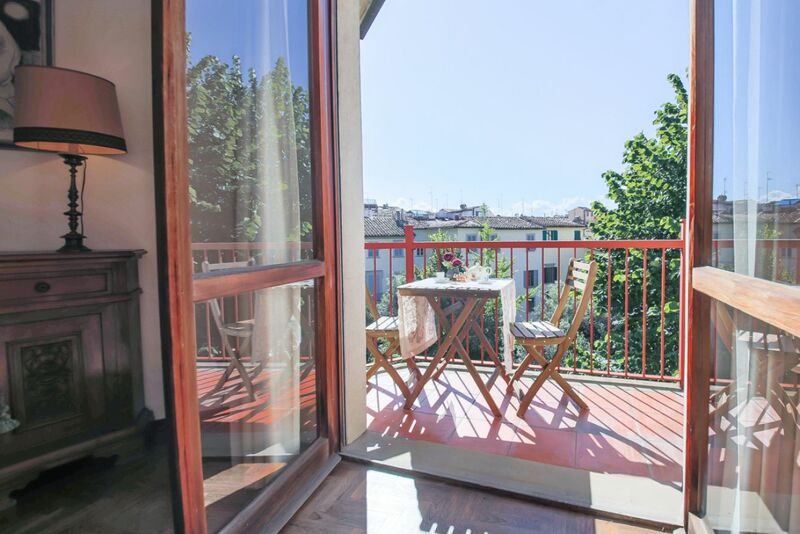 Aside from the terrace in the apartment which is ideal for 2 guests, there is a shared condominial terrace on the rooftop which is great for larger groups and has an all around view of Florence, including the Duomo and other major monuments. 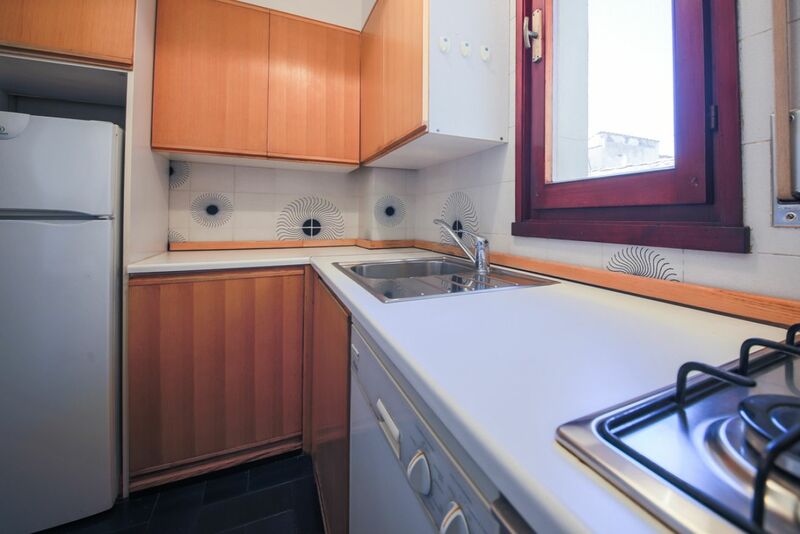 The apartment is equipped with heating and air conditioning managed by the building (operating in pre-established period/hours).